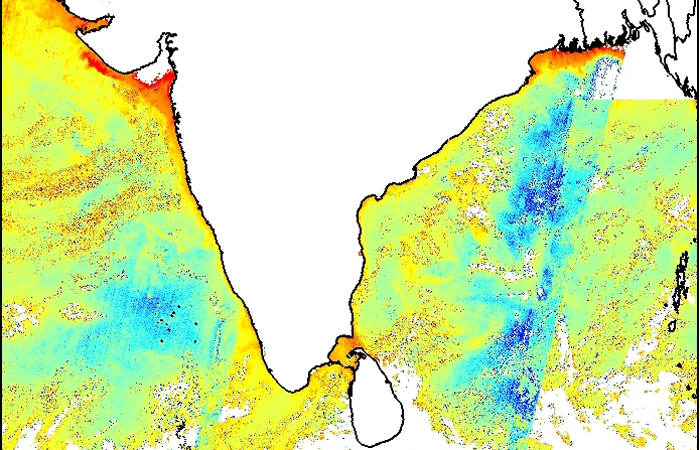 Due to the unique geomorphology of the Indian Ocean basin, the boundary currents and the upwelling and downwelling circulations associated with them are complex and unique in many respects. In the northern Indian Ocean, several boundary current systems are seasonally reversing (e.g., the Somali Current, West and East India Coastal Currents, and the Java Current). These reversing surface currents are unique to monsoon-driven systems and they have profound biogeochemical and ecological impacts. Many Indian Ocean fisheries are also closely tied to boundary current dynamics and upwelling variability and so these features of physical oceanography have direct societal impacts. How are marine biogeochemical cycles, ecosystem processes and fisheries in the Indian Ocean influenced by boundary currents, eddies and upwelling? How does the interaction between local and remote forcing influence these currents and upwelling variability in the Indian Ocean? How have these processes and their influence on local weather and climate changed in the past and how will they change in the future? CO-CHAIR India Indian Institute of Science, Bengaluru, India. CO-CHAIR Japan Department of Earth and Planetary Science, the University of Tokyo, Japan. Dr. Ming Feng Australia CSIRO, Floreat WA 6010, Australia. Dr. Rena Czeschel Germany EOMAR, Kiel, Germany. Dr. Iwao Ueki Japan JAMSTEC, Kanagawa, Japan. Dr. Satya Prakash India INCOIS, Hyderabad 500 090, India. Dr. Anastasia Rita Tisiana Dwi Kuswardani Indonesia R&D Agency for Marine and Fisheries, Ministry of Marine Affairs and Fisheries, Jakarta 14430.